Do you want the next Sega productions on our shelves? Express yourself! 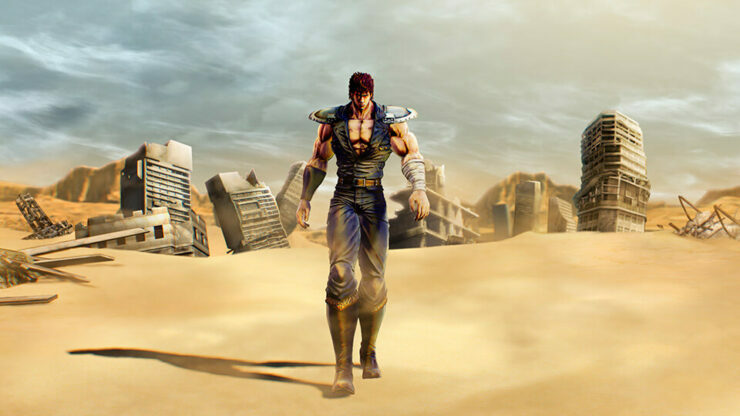 SEGA recently made it known to the land of the Rising Sun, Japan, by announcing several titles of “Yakuza”, and a new video game adaptation of the Fist of the Northstar manga. Thus, Yakuza: Kiwami 2, Yakuza Online, and Hokuto Ga Gotoku will be released to the eastern shelves, but what about the West? The firm launched an inquiry to find out if you are interested in these titles. 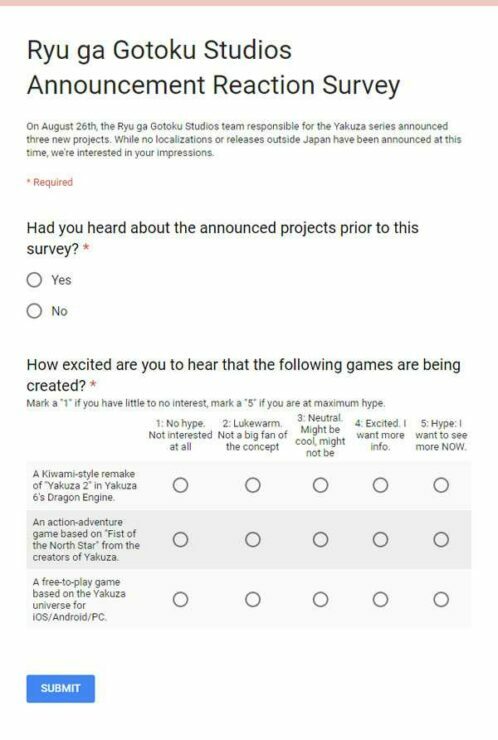 To be heard, you need to go here and fill the SEGA survey. For our part, we are curious enough to see a little more about Fist of the Northstar; the universe is well worth being explored in games. Finally, do not forget that a PS4 Collector of Yakuza: Kiwami 2 will also launch in Japan. Indeed, the PlayStation Store in Taiwan suggested that Yakuza 2 would be entitled to a remake. This remake will benefit from the Dragon Engine, used for Yakuza 6. And as the PSN Store itself suggested, it will be released on December 7 in Japan and some Asian countries. Yuichi Kimura will give his voice to Tsutomu Bessho. There will be a Limited Edition for Yakuza Kiwami 2, as well as two PlayStation 4 Collector’s Edition. The soundtrack of Yakuza and Yakuza 2 “Kiwami”. Exclusive characters for the Play-Spot.